This review shows the images obtained with non-contrast MR lymphography in different pathologic conditions affecting the liver. Non-contrast MR lymphography is obtained with a free-breathing 3D high spatial resolution fast-recovery fast spin-echo sequence similar to that used for 3D MR cholangiopancreatography. The liver is the largest lymph-producing organ generating approximately half of the body’s lymphatic fluid and is the most important part of the lymphatic system from a functional point of view. Therefore, understanding the anatomy, physiology, and physiopathology of the lymphatics of the liver is important. However, its anatomy and pathology are relatively unknown because of the absence of commonly used imaging techniques. We describe the anatomy, the physiology, and the pathophysiology of the lymphatic system of the liver and the possibility of identifying dilated lymphatic vessels in various liver diseases and conditions. Disruption of normal lymphatic structure and function is observed in various disease conditions. Liver lymph flow is directly correlated with portal venous pressure. Therefore, a dilatation of liver lymphatics is observed in portal hypertension as well as in increased pressure in hepatic veins. After liver transplantation, ligation of lymphatic vessels at the hilum reduces chylous ascites and results in lymphatic dilatation which is easily observed. In severe long-standing biliary stenosis, dilated lymphatic vessels are commonly demonstrated with non-contrast MR lymphography. In hepatocellular carcinoma, intrahepatic cholangiocarcinoma, and some metastases, lymphatic vessels are abundant in the immediate vicinity of the tumour. These various lymphatic abnormalities can be demonstrated with non-contrast MR lymphography. • Anatomy and pathology of the lymphatics of the liver are relatively unknown, partly because of lack of current imaging technique. 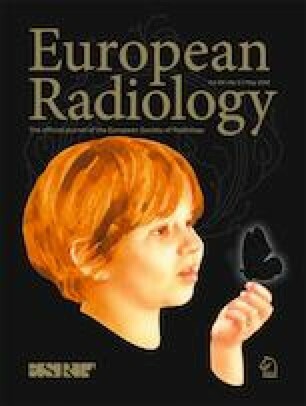 • Non-contrast MR lymphography is obtained with a free-breathing 3D high spatial resolution fast spin-echo sequence similar to that used for 3D MR cholangiopancreatography. • Non-contrast MR lymphography may participate to the understanding of several abnormal liver conditions including portal hypertension, biliary diseases, and malignant hepatic tumours. All the radiology technologists of our department for their unique expertise, Pascale Dono for editorial assistance, and Julien Bouvier for technical assistance. The scientific guarantor of this publication is Lionel Arrivé M.D. Statistical expertise was not mandatory for this review. Written informed consent was not mandatory for this review. Institutional Review Board approval was not mandatory for this review.